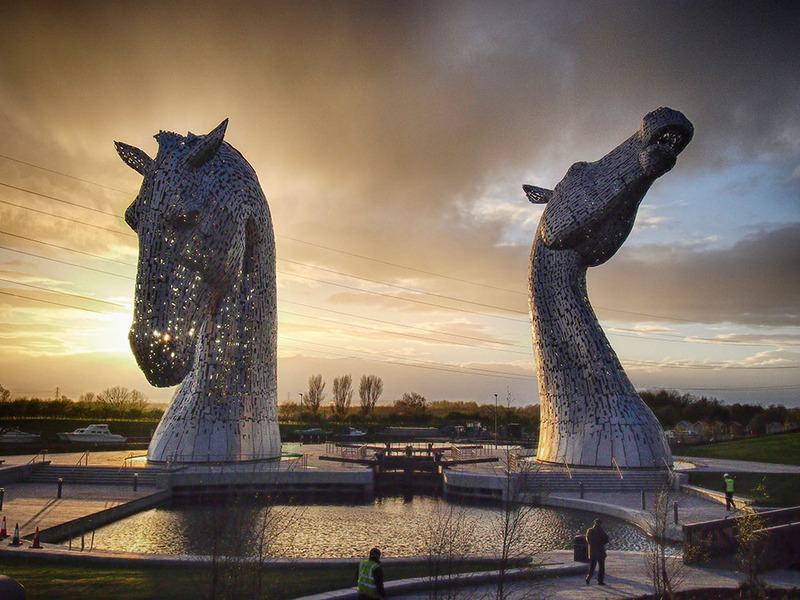 The Kelpies are two 30-metre statues near Falkirk. I think they’re beautiful, and even the best photos don’t really do them justice. Standing at the foot of them is awe-inspiring. 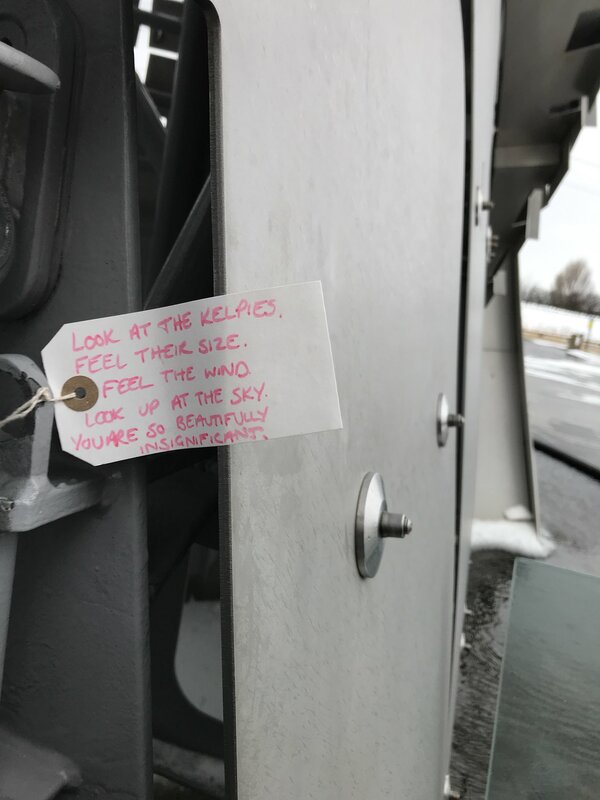 I love them, and I’d love it even more if people made this kind of thing a thing: this is a photo my friend Chris from the BBC took there yesterday showing a note someone had left for other visitors. Imagine not just one note, but many: a mane of affirmations and hopes and prayers like the locks on Paris’s Pont Des Arts. Wouldn’t it be great if the Kelpies became not just a beautiful work of art, but a beautiful, living work of art?